Celebrate the 200th year of the Erie Canal by bike and explore the longest intact portion of the historic Erie Canal at the 3rd Annual Tour the Towpath event on September 23-24, 2017. 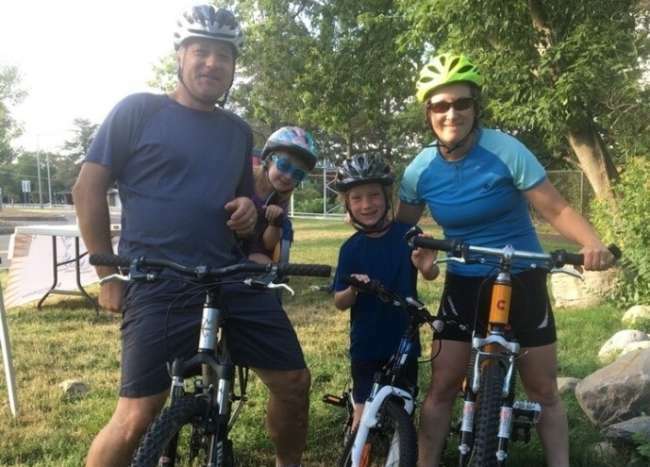 Tour the Towpath is a 36-mile supported, off-road recreational bike ride along the Towpath trail within the Old Erie Canal State Historic Park from Rome to DeWitt, NY with an option to bike to the Inner Harbor in Syracuse (additional 10 mile ride). There are lots of organized and spontaneous things to discover along the way including charming canal-side communities. Tour the Towpath is a family friendly event and open to cyclists of all abilities. The Old Erie Canal Towpath trail is off-road, mostly stone dust, and flat (it’s why this area was selected to start building the Erie Canal 200 years ago). Participants have two full days to explore the park and all the area has to offer. Special activities during the event include a scavenger hunt along the route. Riders will receive a map and guide to the many attractions, museums, restaurants, shops, and historic sites that they can explore in the communities between Rome and Syracuse. All participants end at the World Canal Conference Kick-off Celebration at the Inner Harbor in Syracuse with live music, food trucks, and entertainment. Participants will overnight in the canal-side community of Canastota with music and entertainment scheduled. Erie Canal Brewing Co. will be doing a special pouring of their craft beers for participants over 21. Overnight riders may choose to either camp at the event’s designated campsite area (included with registration), or purchase a room from a hotel in the village (extra cost, on own). Tour the Towpath also offers a 1 day ride option for those looking for a shorter experience. The cost for Tour the Towpath is $20 if registered by September 1, 2017. After September 1st the cost is $30. Kids are just $15. Shuttle transportation is available for an additional cost; reserve space on shuttle during registration. Registration includes a detailed map and guide, t-shirt, luggage transport, bike support, and camping accommodations. Many museums and attractions along the trail also offer free entry to Tour the Towpath riders. For questions, please contact Jamie Kowalczk at (315) 366-2378. Visit www.tourthetowpath.com for more information on the ride. For information on Bicycling in Madison County, click HERE.